Apparently, according to Superman #659 (written by Kurt Busiek and Fabian Nicieza, pencilled by Peter Vale with a little bit by Carlos Pacheco, inked by Jesus Merino), Superman can be a God figure. Who knew? Someone should tell Bryan Singer…. The other rather well-worn element of this story was, of course, the Spiritual Elderly African-American Woman, so between those two you’d think this would be a pretty painful issue. However, somehow it actually kind of worked. 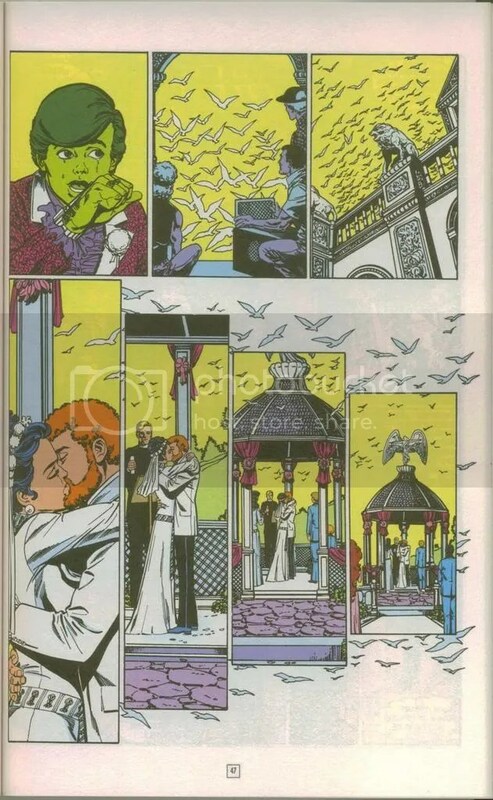 Probably helped by Merino’s inks, Vale’s pencils are a good blend of Pacheco and Jerry Ordway. He’s probably done a hundred other things I’ve never heard of, but I liked his work this issue. I tend to pay more attention to the Supes-as-God stories, because I imagine that some people on DC-Earth would have the same reaction our guest star does: he’s an actual angel she can command. The bit about “commanding” even makes her a little less spiritual, in the sense that I’m not sure God works like that. Overall it’s very reminiscent of Astro City, and a decent AC story is better than a lot of stuff out there. Wonder Woman #4 (written by Allan Heinberg, pencilled by Terry Dodson, inked by Rachel Dodson) came out this past week, and lucky for it, it doesn’t leave much hanging. The big scheduling disaster which has befallen this title wiped out Heinberg concluding this story in #5, but the conclusion looks to be just a big fight scene. The plot is very simple: the “new Wonder Woman” is basically a grim ‘n’ gritty version, Diana crafts a plan that leaves out a lot of her allies, and there are both stunning reversals and stunning reveals. Well, one of each, at least. I’m sure it will read great in the collection, whenever that appears. I liked The Spirit #3 (by Darwyn Cooke) well enough, although I found myself instinctively rebelling against shifting first-person narrative captions. Because it’s Darwyn Cooke, though, they’re handled quite well, and it only takes a split-second to switch between them. It also helps that there’s only one narrator per scene. 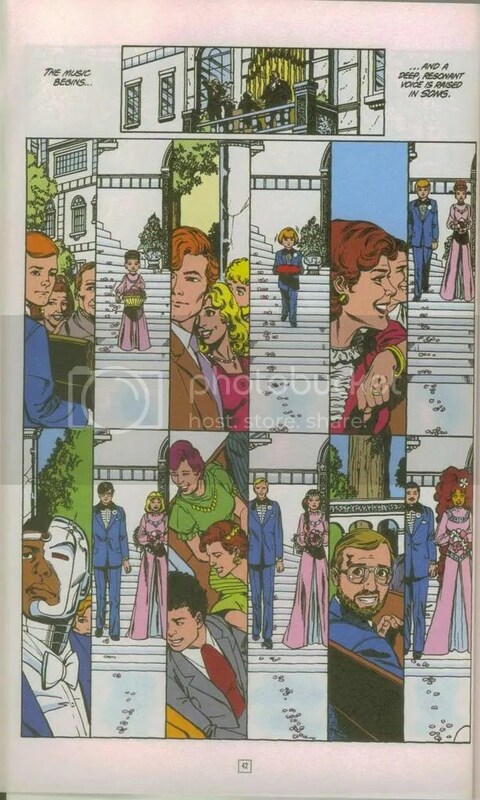 As for the art, Cooke uses looser pencils and a more impressionistic coloring style to distinguish the flashback scenes. I have read the original origin, I think, and this one feels different but it works just fine. 52 #42 (written by JMRW, breakdowns by Keith Giffen, drawn by Darick Robertson) put the spotlight on Ralph Dibny, fighting the Thing Inside Dr. Fate’s Helmet. That’s not meant as a spoiler, but it’s not much of a surprise if you’ve been paying attention. It’s still cool to see Ralph back at the top of his game, and Robertson makes him look both lean and mean. 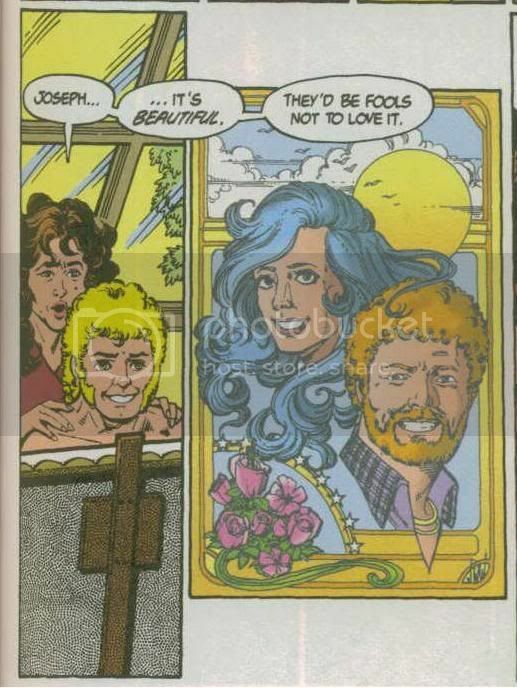 There are a couple of pages with Montoya and her faceless reflection, but other than that it’s all Ralph. Aquaman: Sword Of Atlantis #49 (written by Kurt Busiek, layouts by Mike Manley, inks by Ricardo Villagran) closes out Busiek’s revamp with part 2 of the Fisherman story. It’s more about the Parasite than it is Aquaman, flashing back to the Fisherman parasite taking over some hapless family man who happened to be down at the docks at the wrong time. I’m not sure if the family-man aspects are more interesting than the present-day guy fighting Aquaman, and it all ends up being a rather creepy tale of shambling horror. Villagran’s finishes help feed the horror-story feel. Checkmate #11 (written by Greg Rucka, Nunzio DeFillippis, & Christina Weir, pencilled by Steve Scott, inked by Nathan Massengill) presents the first part of another trust-no-one story wherein a couple of Checkmate agents are cautioned not to think outside the box and/or take a past familial slight personally, but we know that’s practically a flashing neon sign that both those things will happen. However, internal Checkmate politics and the general skill of all involved combine to create a general feeling of unease, like watching a slow-motion train wreck, in a good way. Scott and Massengill provide art that’s a little more static than Jesus Saiz, but again that’s a good thing. I like this book, and I like reading it month-to-month, because I think I would get either lost or bored trying to get through a paperback. I am dumb. I am really starting to like the pencils of Nicola Scott, because as presented in Birds Of Prey #103 (written by Gail Simone, inked by Doug Hazlewood), they are very crisp and clean, and they do remind me of Chris Sprouse and Paul Pelletier. Very clean. The story is the untold tale of Barbara Gordon’s rival, which unfolds not unlike Lisa Simpson’s rival in the episode with Winona Ryder — the one where Ralph “I bent my Wookiee!” Wiggum wins the diorama contest. Here the stakes are a little higher and there is no Ralph. 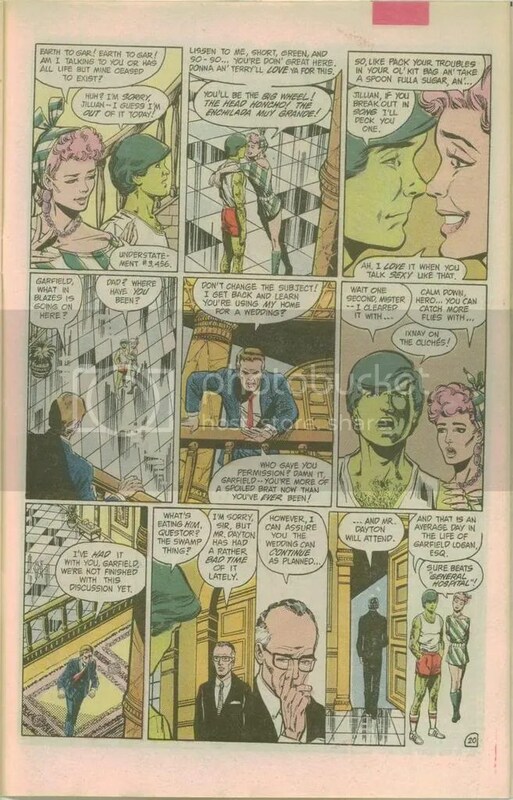 Instead, Gypsy and Manhunter fight the house supervillains at the jail Manhunter broke into, in a subplot which reminded me of the recent Howard Chaykin/Kilian Plunkett arc in JLA Classified. It was a decent issue, with a couple of well-handled plot twists. 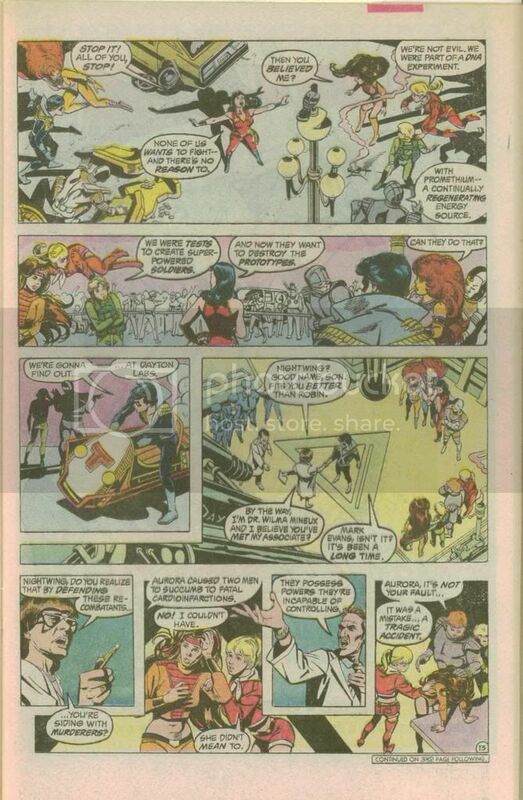 Omega Men #5 (written by Andersen Gabrych, drawn by Henry Flint) was more of the teenage Guardian fighting Lady Styx, with Felicity going through some changes. Everyone else stands around watching these events, and I am right there with them. It’s a typical penultimate issue, which means I can’t really talk about it right now. She-Hulk #16 (written by Dan Slott, pencilled by Rick Burchett, inked by Cliff Rathburn) is a big fight against the Wendigo, guest-starring Wolverine, put through the Slott/Burchett wackiness filter. It reminded me of an issue of Peter David’s Captain Marvel also (I think) involving the Wendigo and the Hulk, and between that story and this one, there’s my knowledge of the Wendigo. He’s the Shaggy Man of Marvel, apparently. Some flirtatious banter between Shulkie and Wolvie was jarring to me, but the fights are broken up with funny scenes involving the heroes’ backup staffs. Finally, The Brave and the Bold #1 (written by Mark Waid, pencilled by George Perez, inked by Bob Wiacek) was everything I expected, and that’s saying a lot. I like the Batman/Green Lantern pairing generally, and especially if it’s Hal Jordan wearing the ring. I also appear to have purchased the alternate cover with Vegas in the background, and I like it better than the promo-art cover I’ve been seeing a lot more of. Anyway, there’s a fight in the Batcave and Roulette shows up towards the end, but in between there’s a great setpiece featuring “Wayne … Bruce Wayne” and his allegedly bumpkin sidekick Hal. Good grief, this is a fun book, and by the way it gives Perez an excuse to dazzle with his layouts and general storytelling ability. Like all of his work, this is a dense issue which invites a Where’s Waldo easter-egg hunt. Perez also makes the revisions to Hal’s costume work, which I mention only because I think it generally throws off Hal’s proportions. I was predisposed to like this book, but the creative team has done some fine work and really exploits the premise very well. Oh, here we go again, another lamentation about the loss of the Earth-1 Clark, a guy literally too good to be true. Let’s call him the Maggin Clark, after Elliot S! Maggin, chief architect of the 1970s Superman, who most prominently described the differences between Kal-El and his alter ego. Superman loved Clark Kent as much as he loved anyone or anything else. He loved his alter ego as he loved the memory of the two good people who had taken him as their son; as he loved this adopted world that had accepted him as its hero; as he loved Lois Lane. Clark Kent was a person as real and individual as any man ever created by the mind of man. Superman even gave Clark a demon: Clark videotaped television commercials that particularly amused him, and showed them to friends who were polite enough to sit through them. Superman spent appreciably more time creating the reality of Clark Kent than he spent doing anything else. Clark Kent spent more time walking the Earth than Superman spent flying above it. Superman valued his creation as he valued a human life. The Maggin Clark follows decades of Superman tradition, going back at least as far as the ‘40s radio-show narration (“And who, disguised as Clark Kent…”). Superman encumbers himself with Clark, donning a bulky suit and clunky glasses over his skintight costume and super-powered eyes. Clark isn’t quite a Harrison Bergeron-like burden, but he does personify Superman’s voluntary acquiescence to the necessities of human life. On Earth-1, Clark was Superman’s connection to humanity, and had been since childhood. Later in Miracle Monday, Maggin indicates that if something ever happened to Clark, Superman would have to re-establish that connection almost from scratch. The Maggin Clark fits pretty well with a Superboy career. On Earth-1, Kal-El’s powers developed fairly quickly, so he knew (and was constantly reminded) early in life about the responsibilities of using them. His foster parents taught him how to fit in, but were his only confidants (outside of the Legion of Super-Heroes, but he didn’t need to be Clark Kent with them). Thus, when they died, “Clark” was a way to remember them. No wonder Superman was so attentive to Clark. Does it follow, then, that if we change a whole slew of those elements, we can flip the characterization so that “Superman” is the disguise? I wonder, and my hesitancy comes straight from the first Christopher Reeve movie. Superman (1978) eliminated Superboy, withheld knowledge of Krypton from Clark until adulthood, and allowed Martha Kent to survive. Clark had to hide his powers, of course, but the weird, emasculated teen of the movie’s Smallville scenes wasn’t the formal “I don’t watch television; I was reading Dickens” alter ego who showed up in Metropolis. Does this mean that, at some point during Clark’s twelve years (!!) with Jor-El’s Giant Floating Holographic Head, one of them came up with the glasses-and-slouching idea? I suppose if you’re going to learn Acting!, you could do worse than Brando, just post-Godfather (and pre-Apocalypse Now…). So Movie Clark, as much as I really love him, now seems like even more of a construct than Maggin Clark, because Movie Clark doesn’t have all of Maggin Clark’s underpinnings. That’s not necessarily a bad thing. However, it does make the developments of the 1986 revamp more understandable. In this respect, it’s almost inevitable that Clark would end up hiding in plain sight as Superman, even going without a mask (and thereby tacitly recalling the Congressional demands that stymied the JSA). As a disguise, “Superman” thus has the potential to become such a … flamboyant isn’t the right word, I know — how about “distracting?” — superhero parody that it lets Clark be himself. Naturally, as it turns out, Clark and Superman are both pretty decent guys, so the Superman performance seems like a pretty thin tightrope. To be sure, in comics we don’t get to hear the different voices. Anyway, all of this reinforces the notion, dropped anvilliciously by Byrne in Man of Steel #6, that Revamped Clark is practically hardwired to feel human by the circumstances of his upbringing. He might think he’s the last Kryptonian, but that’s just an explanation for his powers. Where does Lois Lane come into all of this? After Lana Lang, not to put too fine a point on it. Earth-1 Lana was more of a plot device than a girlfriend; in fact, she wasn’t Clark’s girlfriend at all, was she? Revamped Lana was saddled with the knowledge of Clark’s powers, and she got to be his first love, but the necessity of getting her out of the picture made her Missed-Opportunity Woman. Today Kurt Busiek has made her head of LexCorp, which is a lot better than some other writers (I”m looking at you, Chuck “Amuck” Austen) have treated her. Lois’ portrayals are many and varied, of course, from the nosy obsessive of the ’50s to the tough career woman of the ’70s and ’80s. However, for our purposes the biggest Lois innovation may be her role as Superman’s anchor to humanity. 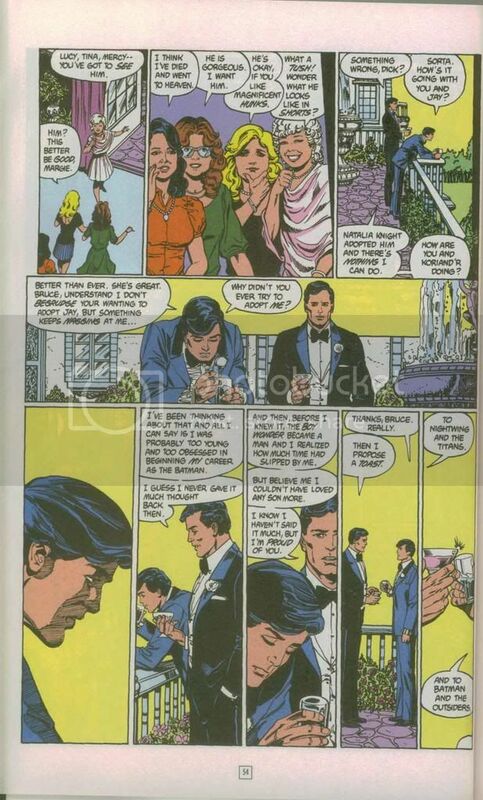 Whenever something happens to Lois, Superman ends up going nuts: mad enough to change history in the first Reeve movie; despondent enough in an alt-future to go into exile (Kingdom Come) or even commit suicide (JLA‘s “Rock Of Ages”); and restoring Lois to the mix was part of the resolutions of “For Tomorrow,” DC One Million, and the “King of the World” storyline from about 10 years ago. Still, in light of Maggin Clark being the anchor on Earth-1, and Revamped Clark being his own anchor, does Lois really play as big a part as we think? I say she does, and I think it’s because Lois validates both Clark and Superman. Lois — I’m tempted to say regardless of iteration, but I’m more comfortable saying it in the ’70s and more recently — confirms that Superman, in whatever guise, can relate to humanity successfully. The combination of skepticism and idealism that makes Lois a great reporter serves as an acid test for Superman: if he can relate to her as “normal” Clark and extraordinary Superman, all is right with his world. This, I think, helps explain the lack of Clark in Superman Returns. Superman needs to reconnect with Lois, because she represents the degree to which he’s successfully connected with humanity. 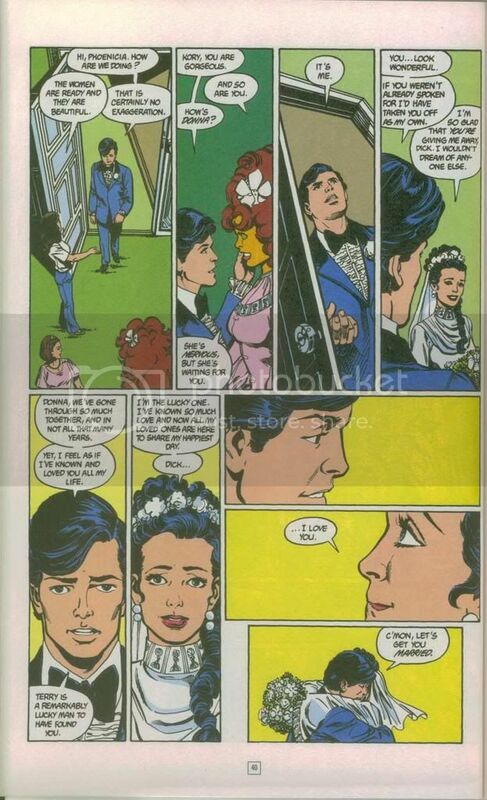 However, all of his business with her concerns Superman, not Clark. Indeed, the Clark of the movies is apparently such a non-entity that his return barely registers with Lois. This is not entirely surprising — in fact, it suggests that the Clark disguise works a little too well. Besides, Lois is clearly more concerned with the aforementioned unfinished business with Superman than she is with getting reacquainted with some random guy she used to work with. Naturally, this is not optimal for Superman, so just like in Miracle Monday, he has to learn to reconnect with the world when the world’s relationship to Clark isn’t what it used to be. Moreover, “Superman” is the public expression of the powers, and one of the missions of Superman Returns was to show off the powers using the latest technology, so not much room for Clark. I agree with plok and his commenters that Clark could have helped Supes deal with his Lois issues, but it’s nice to see that he can adapt otherwise. Man, this has gone on too long, and there’s probably still another post in my Lois notes and my thoughts on Clark getting pushed aside … so if any of you are still awake at this point, that’s certainly something to look forward to, huh? Here’s the thing about Batman #663 (written by Grant Morrison; illustrations by John Van Fleet): prose Batman stories are nothing new. The difference here seems to be Morrison’s willingness to go all-out pulpy and purple, and make this more of a multimedia experience than a Big Little Book. It’s an uneven experience, because in some ways Morrison’s prose is more vivid and efficient than a page of sequential art might be. It sure doesn’t go overboard in describing every kick and punch. However, if this were supposed to be the Joker’s big 2007 flourish, prose really isn’t the way to go. Batman stories seem suited for prose because you can write a passable Batman story that’s not much more than a standard pulpish spy/crime story. Still, those stories invariably seem overwritten because they have to compensate for the lack of a tremendous visual shorthand. This story in particular cries out for more visuals than are provided, for a couple of reasons: the pictures don’t match the unsettling tone of the words, and the words just aren’t evocative enough to overcome that. Does that make sense? It does to me, but I have to live with it. This month’s Dr. Thirteen story in Tales of the Unexpected #5 (written by Brian Azzarello and Cliff Chiang) really revs up the commentary, which takes the story to an even higher level, and that’s saying something. It’s basically a challenge from the characters on DC’s lower rungs that they won’t go gently into the night of big-event cannon fodder and unobjectionable Vertigo makeovers. That’s great. That is absolutely perfect. 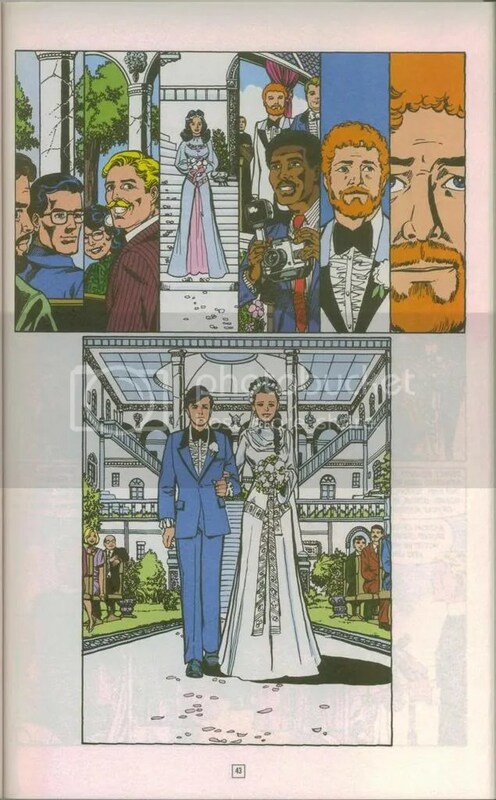 Oh, also there’s a Spectre story (written by David Lapham, pencilled by Eric Battle, inked by Prentis Rollins) about the culpability of eevil researchers, but nobody cares anymore. I will gladly subsidize these mediocre Spectre stories for as long as it takes to keep the Azzarello/Chiang Dr. Thirteen going. 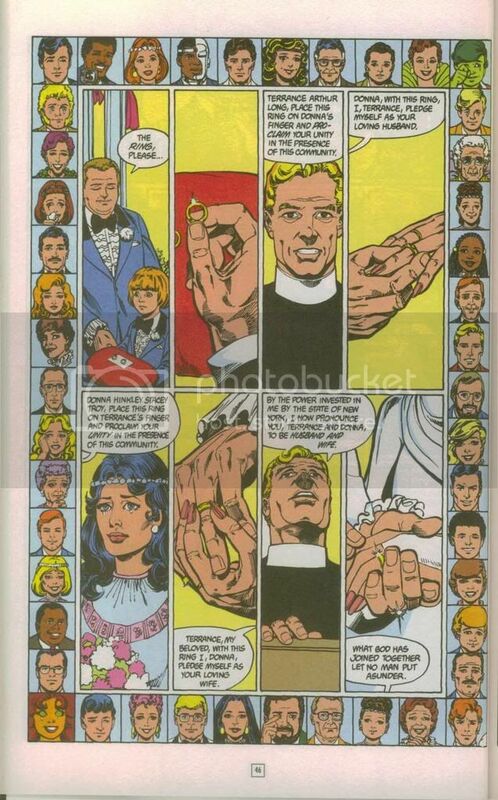 When Star Trek Generations first came out, my mom asked me how it was, and I replied, “Everybody dies and the Enterprise blows up.” JLA Classified #34 (written by Dan Slott and Dan Jurgens, pencilled by Jurgens, inked by Jerry Ordway) was a lot like that. Even with a reset button, it’s an effective look at the end of the DC-Earth and the JLA’s efforts to save the planet’s population. Oh, and not all of the Leaguers make it off before the planet pulls a Krypton. Pretty good overall, and ultimately, will probably be better than Generations. Green Lantern Corps #8 (written by Keith Champagne, pencilled by Patrick Gleason, inked by Prentis Rollins & Ray Snyder) was a decent conclusion to the Super-Skrull-Dominator/Black Ops Lantern arc, marred by some hazy choreography from Gleason in the fight scenes. A lot of people whose opinions I respect greatly, Ragnell chief among them, like Gleason. I don’t dislike him, but when Guy is fighting a wormy, vaguely-defined alien critter that can change shape, the pages could be laid out a little more clearly. 52 #41 (written by JMRW, pencilled by Giuseppe Camuncoli, inked by Rodney Ramos) was filled with nice moments, including the long-awaited Montoya vs. Richard Dragon fight, a surprise cameo, and the rescue of our remaining space travelers. It is basically a transitory issue, Part 2 of the last quarter of the series. I think it’s also the first issue to have Montoya scenes without her first-person narrative captions. Since she’s the only character in the series who gets to use those, it’s noticeable when they’re gone. For some reason I bought Welcome To Tranquility #3 twice, which probably speaks to my affection for the series. It also means I can’t remember which books I buy week to week. Last time I decided to drop a Justice Society book, it was because a time-traveling villain murdered a helpless family. I’m sure you’ve heard what happens to an unfortunate family pick-a-nick in Justice Society of America #3 (written by Geoff Johns, pencilled by Dale Eaglesham, inked by Ruy Jose)? I think I’m ready to drop this book already, but doggone it, I’m in through the end of the JLA crossover, so at least two more months. So, Nazis, a Special Guest Villain who crops up throughout DC history, and some more Kingdom Come references. The big two-page Avengers Assemble! spread is coming about 5/8 of the way through the story, when it probably should have happened halfway through last issue. Finally — and, sadly, that comes with an extra layer here — we say goodbye to Nextwave #12 (written by Warren Ellis, pencilled by Stuart Immonen). I liked this book so much, I will gladly buy the oversized omnibus hardcover edition. Nothing but pure joy from beginning to (sniff!) end.